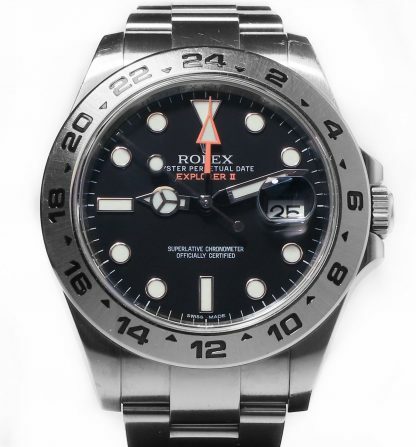 Worn Rolex Explorer II reference 216570 featuring a black dial from 2014. The watch is in used condition and comes full set (except for the red Rolex tag). 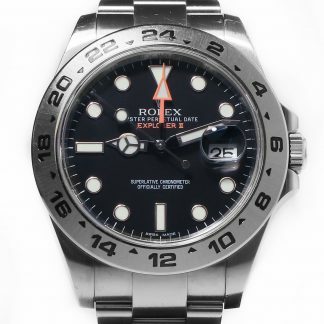 The Rolex Explorer II has a 42mm case, a black matte dial, and a striking orange GMT hand. 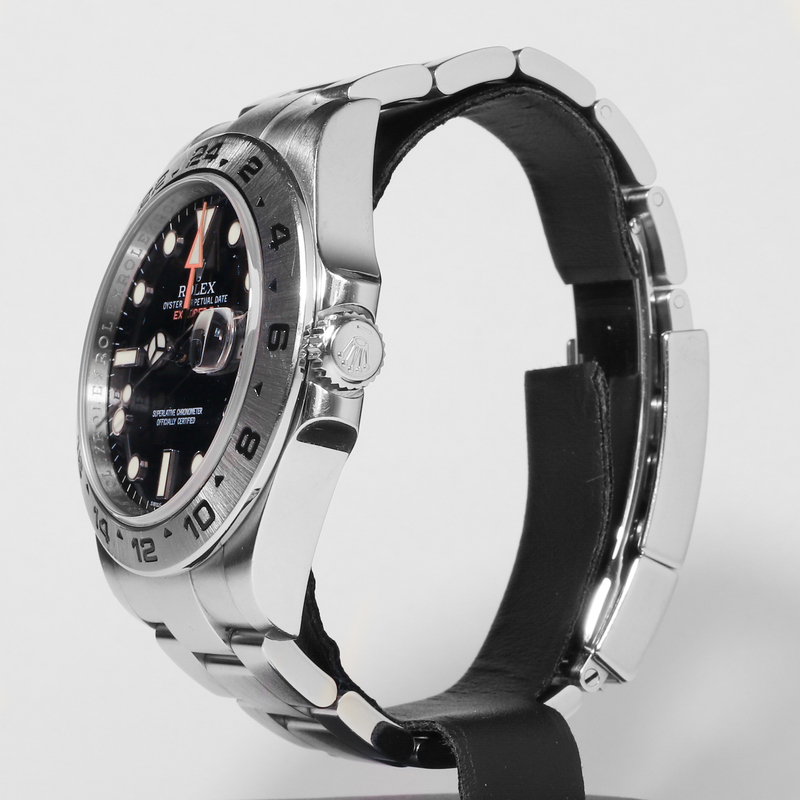 The markers on the fixed bezel are there for the GMT hand to showcase the time in two timezones simultaneously. The watch has a water-resistance of 100 meters. 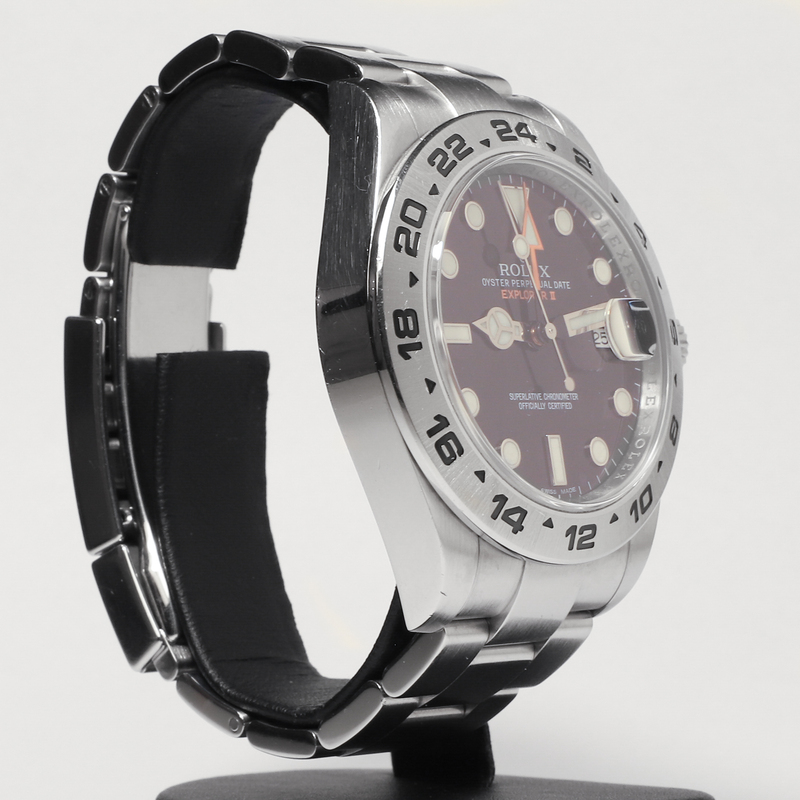 Please see all images to decide the condition of the watch and watch the video presented below. 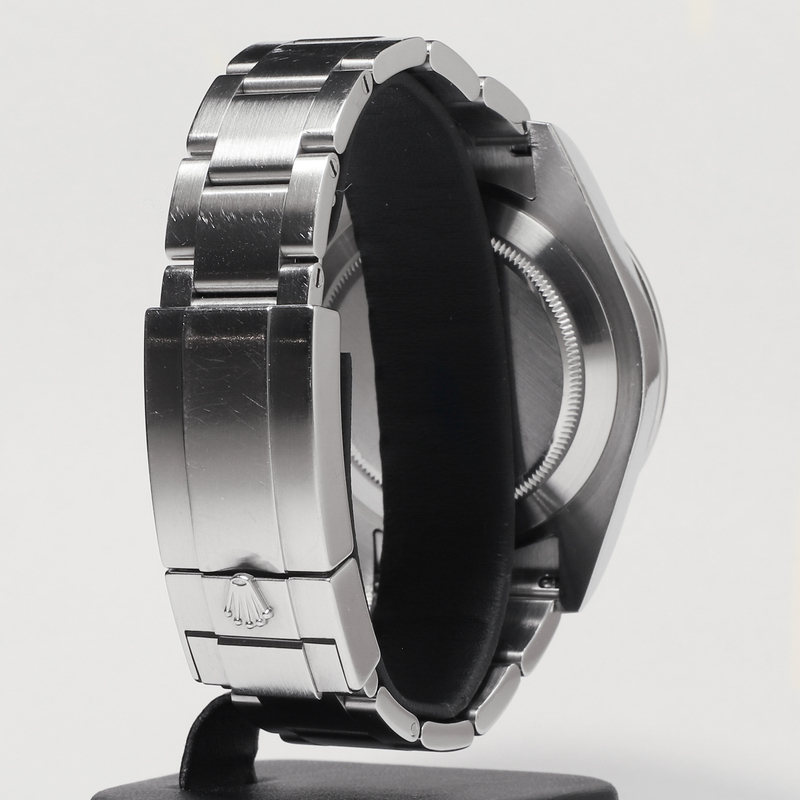 The case is 42mm and is made of 904L stainless steel. 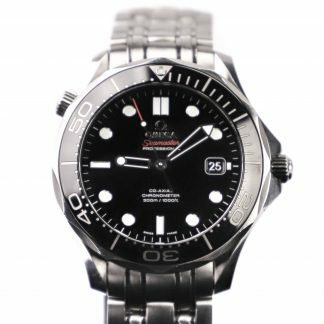 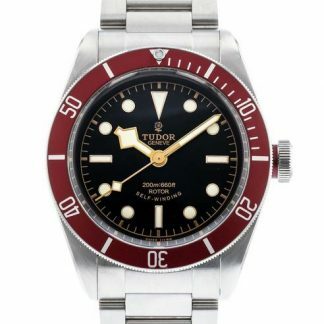 It is fitted with a robust and sport Oyster bracelet which has been brushed. 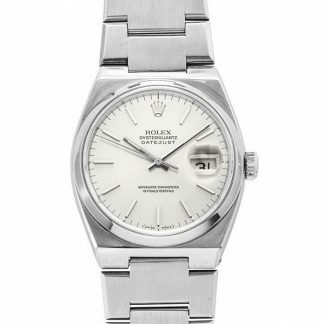 The explorer has large hands and large indices to help improve the watch’s legibility.